Every third Friday of the month, Jazz on the Palm is held in Centennial Square on the waterfront at West Palm Beach. The next event is September 19 (8:00pm to 10:00pm), and thereâs sure to be a great turnout because thereâs absolutely no charge. Feel free to bring blankets and chairs because youâll want to sit for a while and enjoy the music. Septemberâs headliner is Treebo, a band of international musicians and singers that describe their music as Neo-Soul or World Fusion. Treebo means âtribeâ in Tagalog, the first language of the Philippines. The venue is excellent for concerts as Centennial Square is one of the centerpieces of West Palm Beachâs revitalized downtown. There are tables and benches and an interactive fountain where kids often play in the spray. If you want to make a complete evening of it, there are plenty of restaurants within easy walking distance. 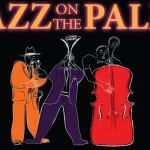 Additional Jazz on the Palm events will be held October 17, November 21 and December 19. For more information, call 561-822-1515.